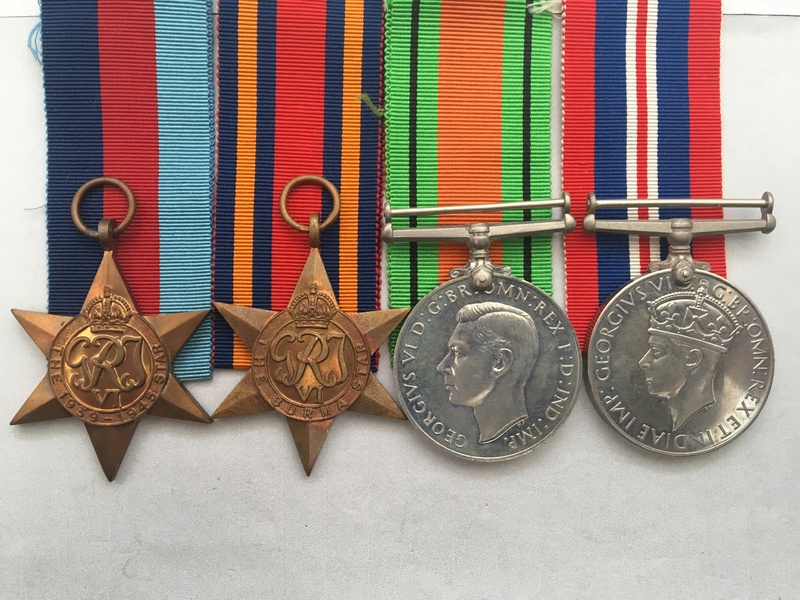 A WW2 medal group awarded to Mr J. D. Fidler, which were posted to him at an address Clayton Way, Cowley, Uxbridge. There is a GPO sticker over the portion of the box that says whom posted them. Burma Star unnamed as issued. 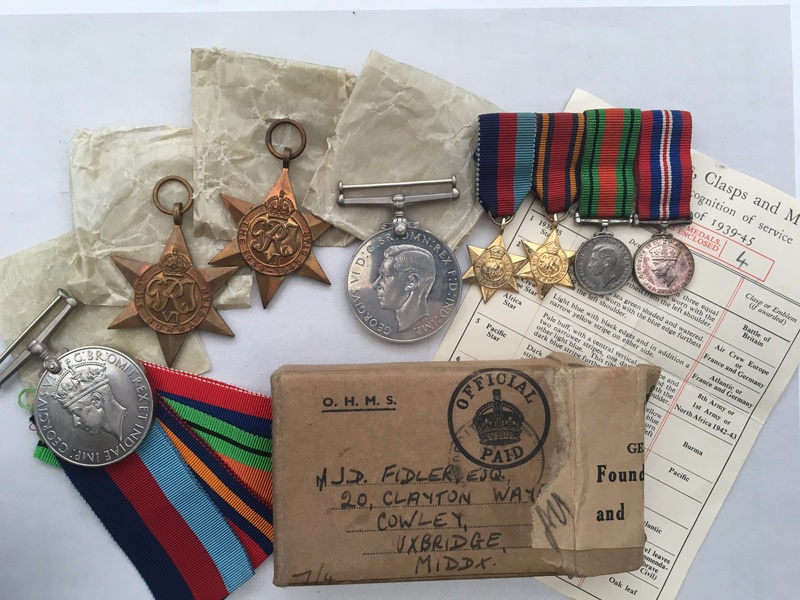 The medals are loose and come in their original wax packets - the condition of them is absolutl excellent, it is clear that they have not been out of their packets very often. The ribbons are in pristine condition and are clearly original. 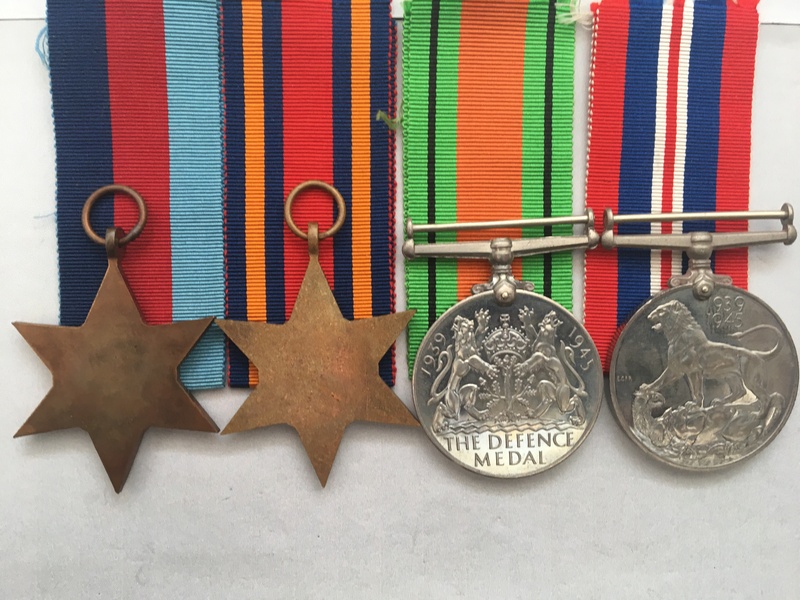 The medals come with a matching pair of contemporary miniature medals, along with an Army Council Award Slip noting the correct number of awards.